Donations for Christmas Flowers are welcomed before December 17th. Please place donation with note to specify as Flower funds and any special dedication. Or, contribute via Tithe.ly app or the website link, and email office@gracechurchoxford.org with dedications. Thank you! It’s back! The Mitten Tree is up in the Vestibule and ready to receive your donations of mittens, hats, scarves and socks (hand-made or purchased) for clients of the Oxford Food Shelf. Please help us keep our neighbors warm and cozy this winter by covering the tree in donations by December 23rd. Thank you! On Saturday, October 27th, Bishop Fisher addressed the 117th Diocesan Convention of the Episcopal Diocese of Western Massachusetts. The link to this address is here. Rev. 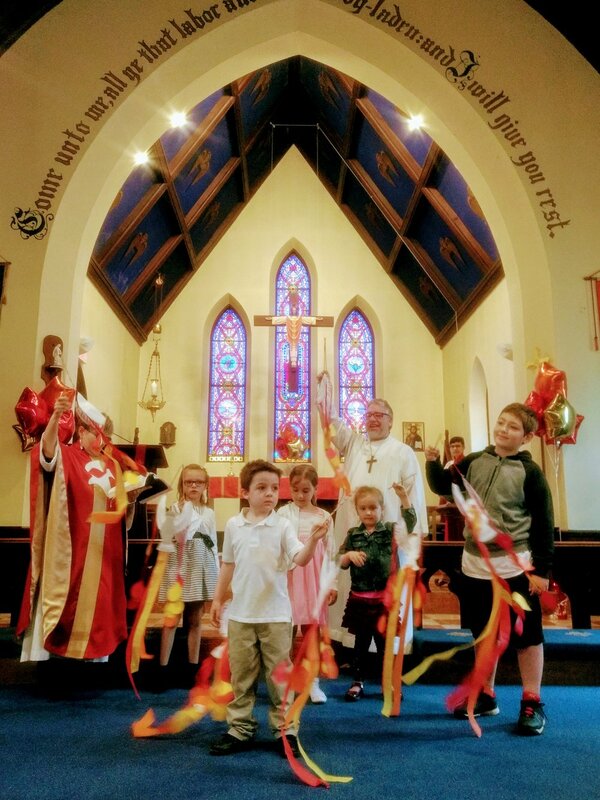 Paula will be leaving Grace Church and the Diocese of Western Massachusetts. She has accepted a call to serve as Rector of St. Stephen’s, Millburn in the Diocese of Newark. Her last Sunday with us will be November 11th. We will celebrate with a special liturgy marking the “Ending of a Pastoral Relationship”, followed by a special coffee hour to celebrate our time together. The Vestry is working hard to begin planning for this transition, with the help of diocesan staff. There will be a special parish meeting on Sunday, October 14th following the 10:30 service. We hope all members of the Grace Church family will come to this important meeting. as we welcomed Bishop Doug Fisher and Canon Pam Mott with true Grace Church hospitality. A favorite phrase from our Jewish brothers and sisters is, “May you be blessed to be a blessing.” We are lucky at Grace Church to be both blessed by and a blessing to our bishop and our diocesan family. Presiding Bishop Michael Curry is bringing Episcopal Revival to Western Massachusetts! He'll be here in October, though the Revival is revving up and will continue long after he visits us. We invite you to pray with us and also to join in the fun, faith-filled fellowship.